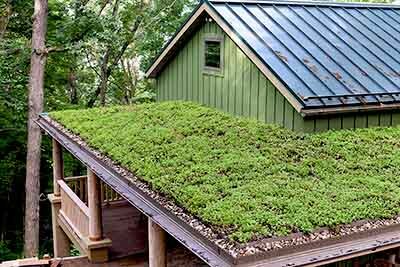 Waynesville Residence | residential | Living Roofs Inc.
A garden shed gets an upfit. 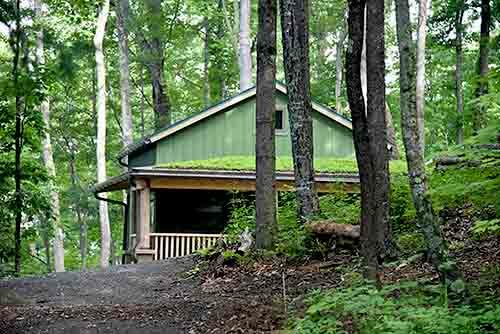 A property at 4,000 feet elevation incorporated a green roof onto one of the outbuildings. 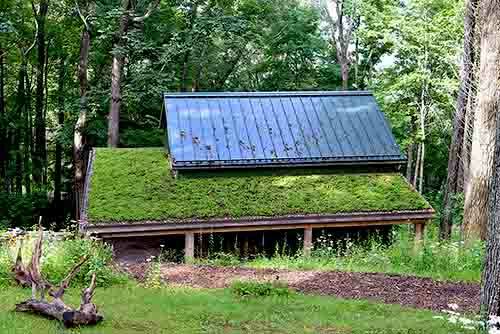 The building is visible from the house and the green roof helps to integrate it into the surrounding forest.